The Chapel at the Barry Robinson Center was built in 1933 as part of the James Barry Robinson Home For Boys, an orphanage and school. 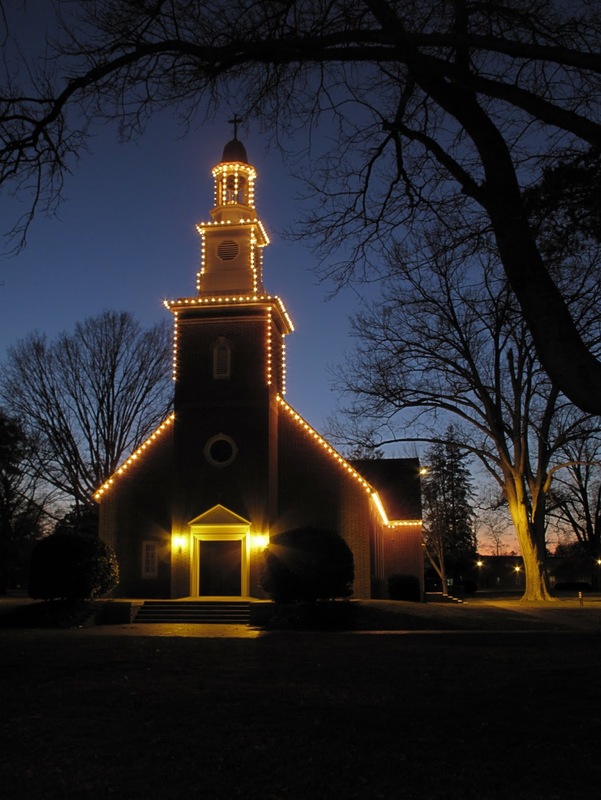 The chapel is a beautiful sight just after sunset with its holiday lights aglow. Taken with a Canon G10, f5, 1s (tripod), ISO 200, 40mm equivalent. Post processed with Photomatrix Pro 3.1 blended exposures.